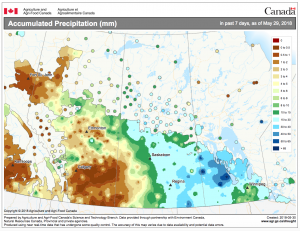 Up until yesterday, many parts of Alberta and Western Saskatchewan hadn’t received much rain over the past week. The Eastern Prairies got more. Rain events continue today in some areas. 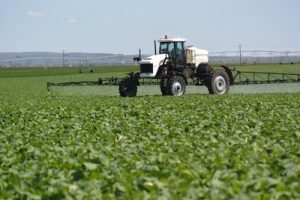 Flea beetles: Why are some fields so bad in 2018? 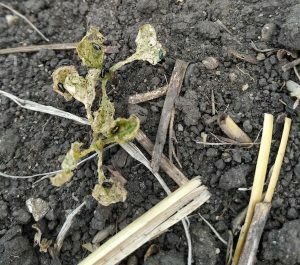 Early-seeded and slow-growing canola crops (usually due to dry conditions) have faced more flea beetle pressure this year, particularly in Manitoba and central Alberta. Flea beetle emergence tended to occur before most canola crops had emerged, so flea beetles concentrated on the earliest fields. And because topsoil moisture levels were fairly low, these canola plants were growing very slowly. Concentrated feeding and the plant’s inability to out-grow this feeding meant many crops were sprayed. 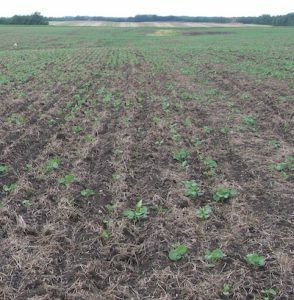 As part of early-season scouting, assess plant density and percent emergence using the Canola Calculator plant survival calculator. How long can canola seed sit in dry dusty soil? If soil conditions are dry and seed hasn’t imbibed water to start the germination process, there won’t have been enough water for the seed treatment to do anything but stay on the seed coat. Seed will still be viable and as soon as it rains, the clock starts ticking on seed treatment. The key with a thin stand is to do what it takes to protect those plants. A stand needs a minimum of 4-5 plants per square foot to have the best chance to reach its yield potential. For a canola field at or below that plant population, consider lowering the action thresholds for insect, weed and disease management all season long. 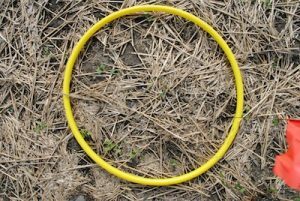 Canola harvested last fall and still in on-farm storage can be at risk from heating. Hot outside weather will restart moisture movement within a bin, and if the canola has other risk factors – such as higher moisture and/or dockage – that concentrated moisture could lead to heating.